Digital sensors are used to collect data on aspects of the environment or to record the location of a subject or subjects, orientation in space and time, or even whether they’re talking or interacting, using devices, and so on. Sensors can be used to enable real-time replay of activities and for passive observation, as they can be much less intrusive than traditional methods that involve interaction with researchers. Potentially, sensors might also help scale-up or automate research – so long as it’s clear that permissions are granted to observing people in public spaces, or, for instance, measure whether they’re doing what they’re paid to be doing at work. 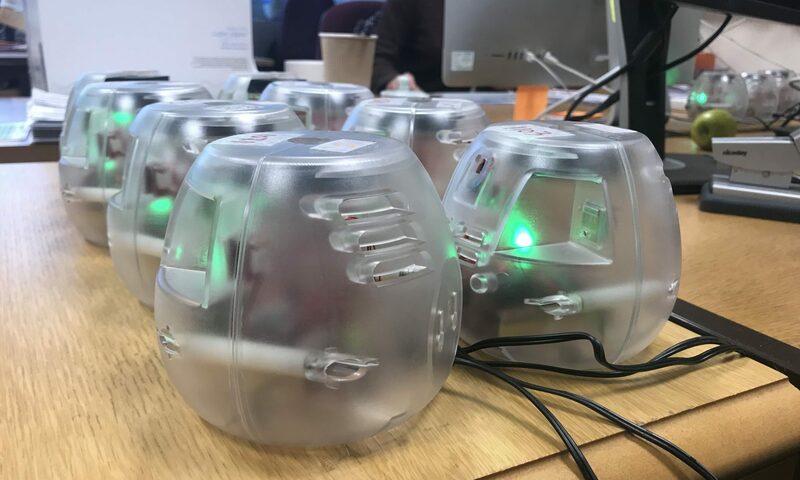 Here at the University of Surrey, we’re developing tools to facilitate and simplify the responsible use of sensors in social research, based in part on the HomeSense field trial experience. Sensors can be used in many other research disciplines too: Surrey has been leading projects using sensors in areas ranging from healthcare research to microbial & cellular sciences to communications systems, and more. Should imagination run riot, applications might extend to researchers sending drones out to fly above high streets or shopping malls to draw up heat maps revealing how people move in and out of shops, or mingle in front of shop windows. Drones can survey neighbourhoods to detect the energy efficiency of homes and then we could ask questions about the energy usage within these homes. Some of these scenarios are actual research possibilities. But of course, all such research should be conducted in a way that is acceptable. What do you think sensors can add to your research design? To begin to address these methodological questions, it would help to know a lot more about the devices that are available and how to apply them in research situations. The two-day course ‘Using Sensors in Social Research’ will provide the benefit of our experience to researchers who may not have used sensors before and are wondering what the technology is all about. This course will answers questions such as, what sensors are available for research; what sensors do; what kind of data can they collect; what’s the quality levels of data generated; and how to process and analyse these data? On 10 and 11 September, we will have all sorts of sensors available for practical hands-on experiential sessions to provide a sense of the data they generate and what sort of elements and activities the sensors respond to in the environment. The course is exploratory. We won’t simply tell participants what they can do with sensors: the course is designed so that participants can discover for themselves how sensors might enrich their research designs. We hope the course will inspire new ideas; about how sensors could be useful, and also what kind of sensors work for which kinds of research questions.